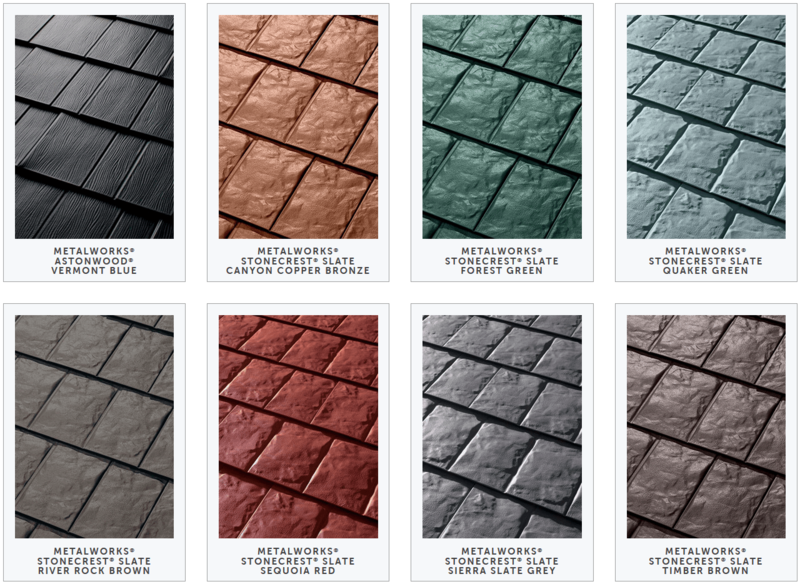 Metal shingles cost about $2.50 to $4.50 per sq. ft. not including labor. That’s just the cost of materials and trim. 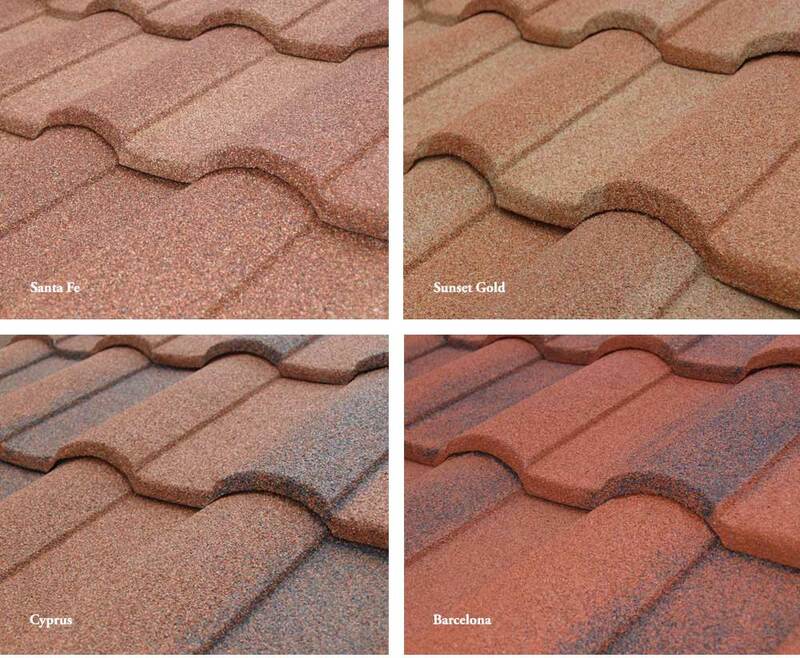 — This is a good 2 to 3 times more expensive than material costs for asphalt shingles. When labor is added, the cost is in the range we noted at the beginning, or $8.00 to $10.00 per sq. ft. of metal shingles installed. That is closer to twice the cost of installing asphalt shingles. Yet, the value far exceeds that of asphalt shingles, as our “Advantages” section notes below. 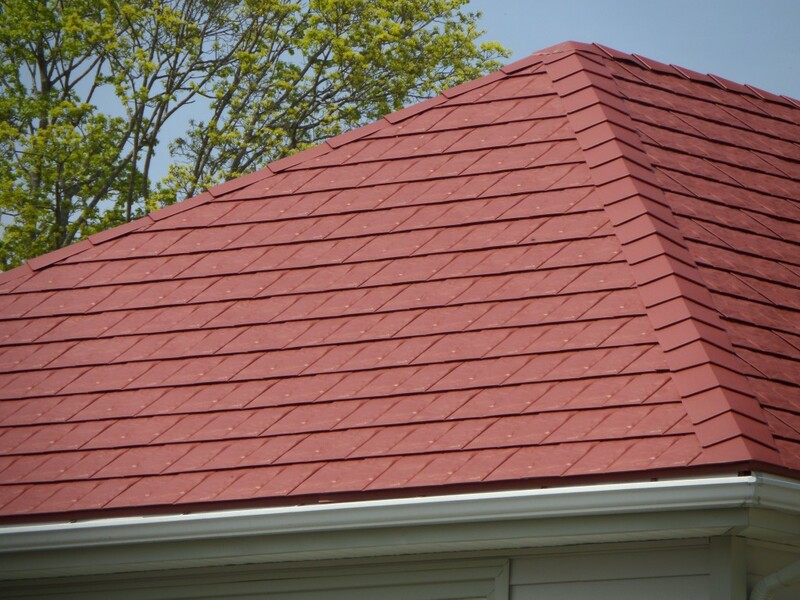 The caveat with the price range is that this is for the two most popular materials used in metal shingles, aluminum and steel. If going with zinc or copper, the cost goes up significantly, but so does the value. 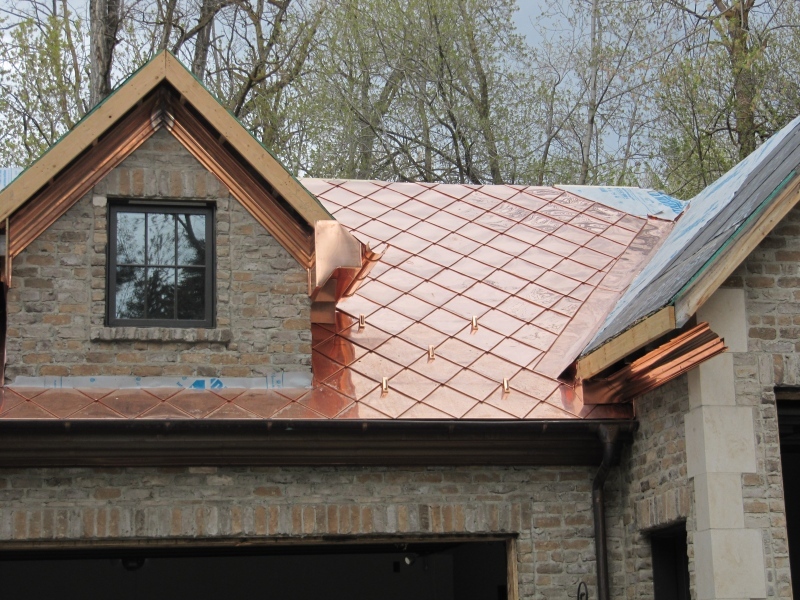 For Copper, it is about $12.00 to $16.00 per sq. ft. just for the material, and for Zinc the material cost is around $6.00 to $8.00 per sq. ft.
Aluminum and Steel are both in the range of $3.00 to $4.00 per sq. ft. for the material cost including trim. According to RoofingCalc.com, using their cost calculator, a steel shingle roof covering 1,600 sq. ft. will cost between $12,000 and $16,000, installed. There are a number of factors, even with just this specific material, that can impact the price range; These include location – as in plug in another zip code at the RoofingCalc.com calculator and watch the rates change. Availability of professional contractors will affect the rates you will get, and whether or not the existing roof needs to be torn off and disposed of, which is generally not the case with metal shingles, but could be. Usually, metal shingle roofs need what is called a “breathable layer” or underlayment that is just below the metal, and helps act as added water barrier, though this will only add around $40 per square (equals to 100 sq. ft.) to the cost. Important Considerations: The greater the square footage of your roof, the less you can plan to pay for the materials on a per square foot basis. Technically, G 90 galvanized steel, a common material option for metal shingles, is less expensive than aluminum, but by the time metal shingles are sold to the end consumer, they end up being the same. Both aluminum and steel are likely to be coated, or finished with paint. It’s important that you go with Kynar 500 or Hylar 5000, factory finish paints, as these will offer the best protection and usually carry a minimum 20 to 30 year warranty. Colors are in essence unlimited, but wholesalers tend to stock about a dozen popular options which is usually what most homeowners choose. Texture adds a whole other level to the available options. Steel though needs an extra layer so that it can be readily painted. This layer will be referenced (routinely) as galvanized. 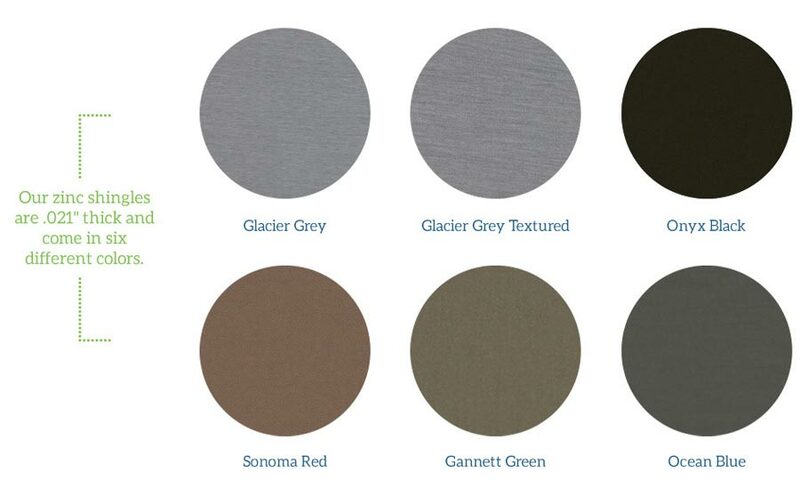 Think of this as a metallic primer that greatly protects the steel base material. Without it, steel is prone to corrosion, commonly referenced as rust. Even aluminum can corrode, but tends to chalk up, or get a whitish film to it, when it’s protective (painted) layer has faded. The coating on steel is actually 100% zinc (galvanized steel), which is one of the most durable metals around. Some metal panels may also come coated in a mixture of zinc and aluminum. The all zinc coating is G-90 “galvanized steel” and the combination one is referred to as “Galvalume”. Zinc and copper tiles don’t need special coating, nor painting as they are non-corrosive metals. Really, these materials deserve their own article. 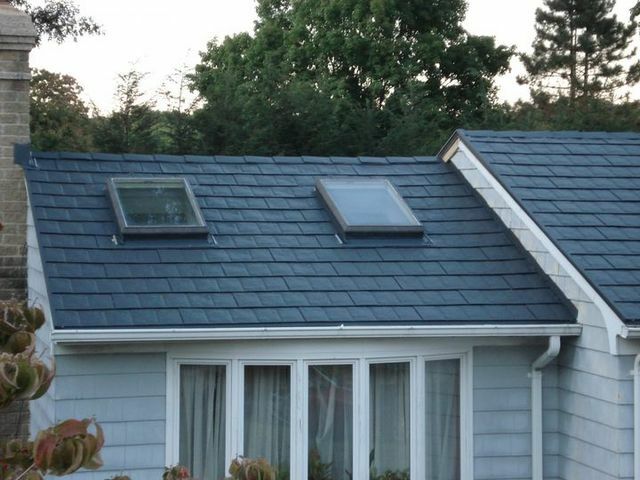 As you can imagine, metal and stone roofs will last longer than all other roof types. This is huge advantage, and is what makes them a great investment. By the time a home has gone through 3 quality life cycles of asphalt shingles, a metal roof might need replacement for its first time. While the initial costs are significantly higher for metal compared to asphalt shingles, the lasting value actually favors metal. Again, see the Advantages section below to help with perspective. The Return on Investment (or ROI) for metal roofs supersede all other roofing materials. Most metal roof manufacturers, especially for tile products, carry a 50 year, non-prorated and fully transferable warranty. Asphalt shingles would be lucky to last half that long, and their warranty usually is around half that, plus it is often prorated. Cedar shake roofs certainly have natural beauty, but metal shakes can come fairly close to matching their appearance and will easily outlast their wood counterpart. Metal roofs continue to grow in popularity which only increases their resale value. The national average is about 86% recouped value for what you put in, and what you can expect to get at time of sale. This number varies by region and the east cost tends to see the highest ROI for metal roofing. Stylistic Fact A classic colonial or brick home will benefit perhaps the most from metal shingle roofing as far as preserving the traditional look, while obtaining all the advantages of a metal roof. Note: The asterisk after the items below are unique to metal shingles. Most of the advantages, and disadvantages, hold true for all types of metal roofs.